Sambucus Canadensis « John Bartram Lives! 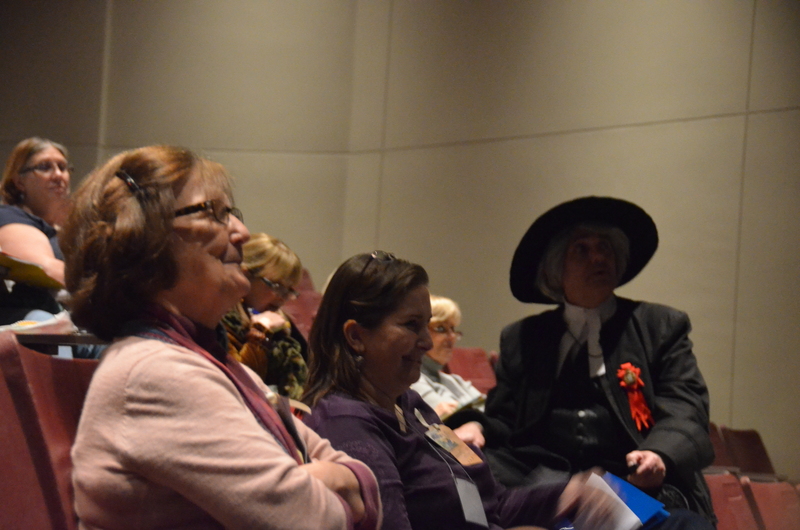 This was another wondrous opportunity to meet a dazzling array of botanists and herbalists. Last year’s Herb of the Year was Sambucus spp. 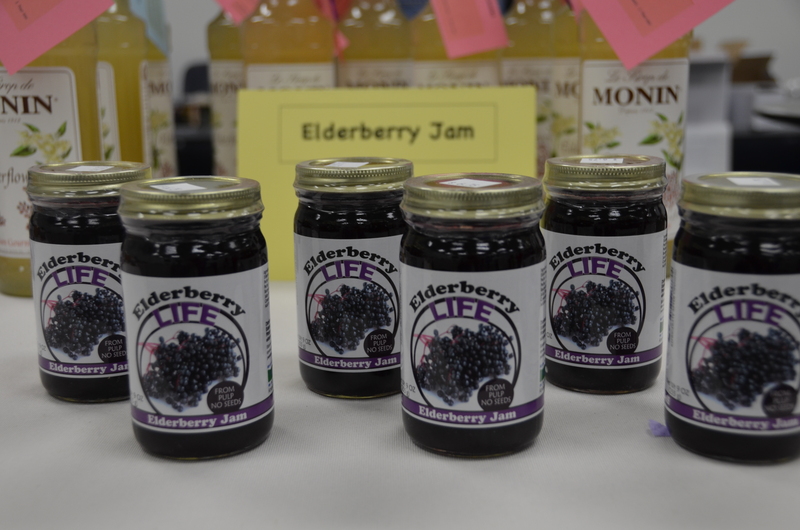 It was a grand celebration around the merit of not only that species but on all of the herbal and pharmacological benefits of plants in general. 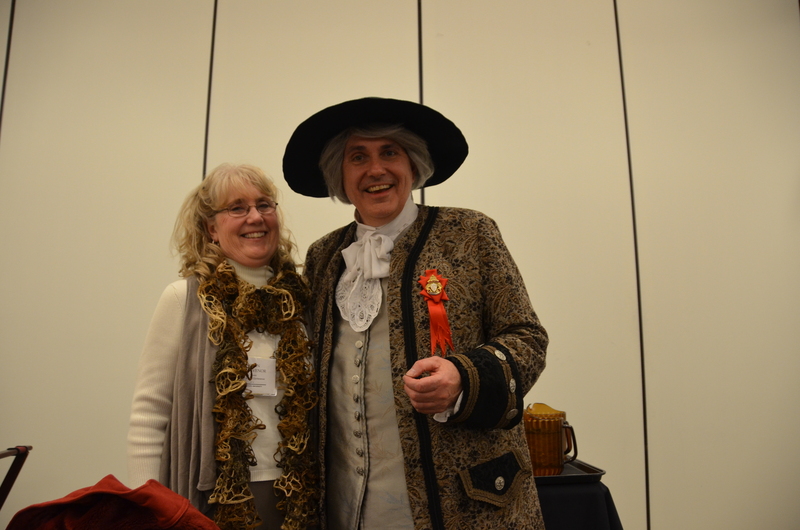 I presented three separate lectures on varied topics related to my interests, history and knowledge of botanicals. A reflection of the warmth in the room! 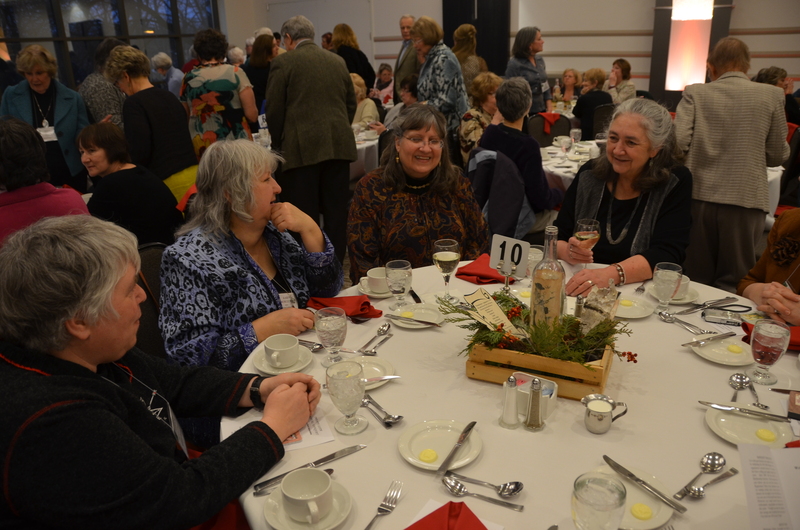 The banquet was a sell-out! Notice that the centerpieces had John in a bottle. How perfectly captured I felt! I appeared as a guest at the annual banquet. The centerpieces on the table had copies of my only known printed likeness pushed inside a bottle. Like a stranded seafarer, I was cast away on all of the tables waiting to be picked up and discovered. 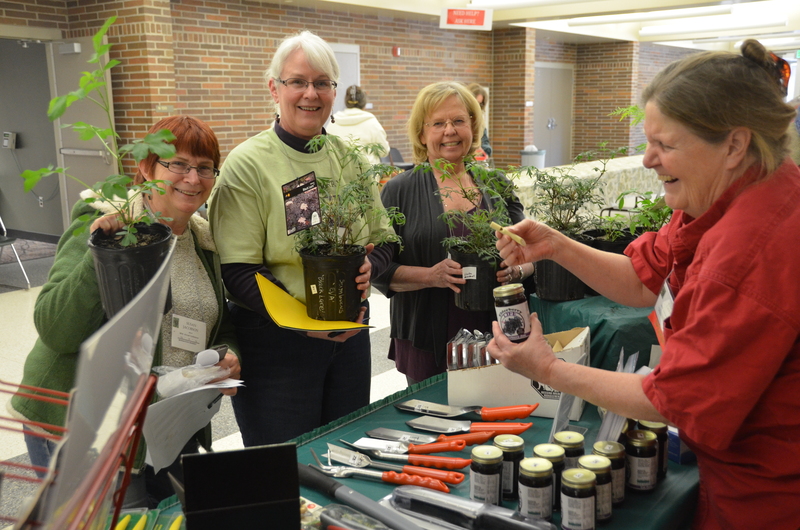 Members and vendors interact. It’s a natural occurrence. One of the special lectures was on my contributions to the Appendix to the Medicina Britannica of 1751. 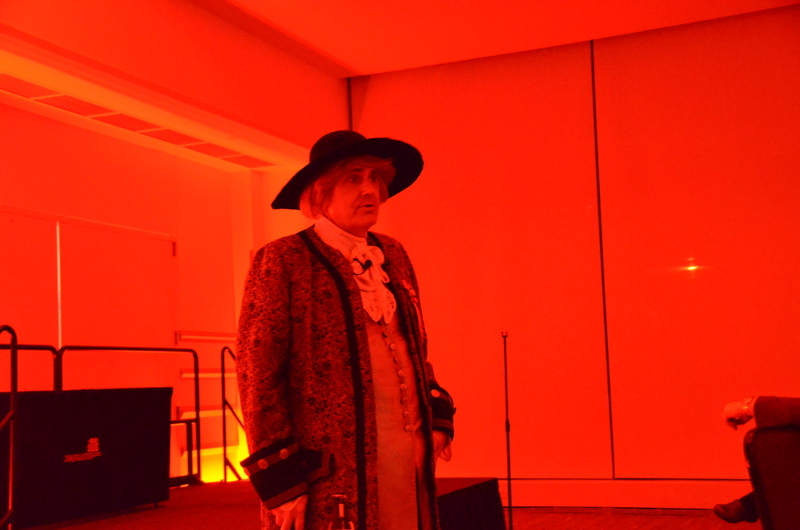 John Bartram displays his knowledge of the natural medical pharmacopeia. 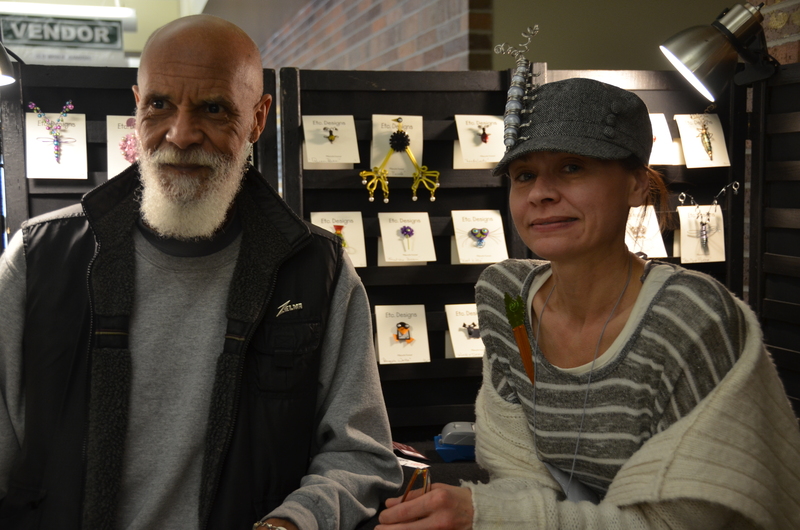 Vendors at the trade show represented a beautiful array of crafty botanicals and natural plants. 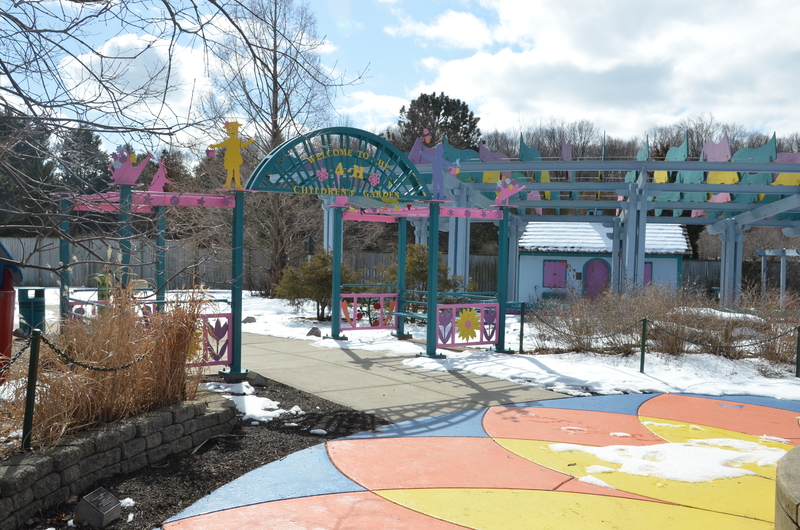 The rest of the outing to the campus of Michigan State University included a visit to the remarkable Children’s Garden. 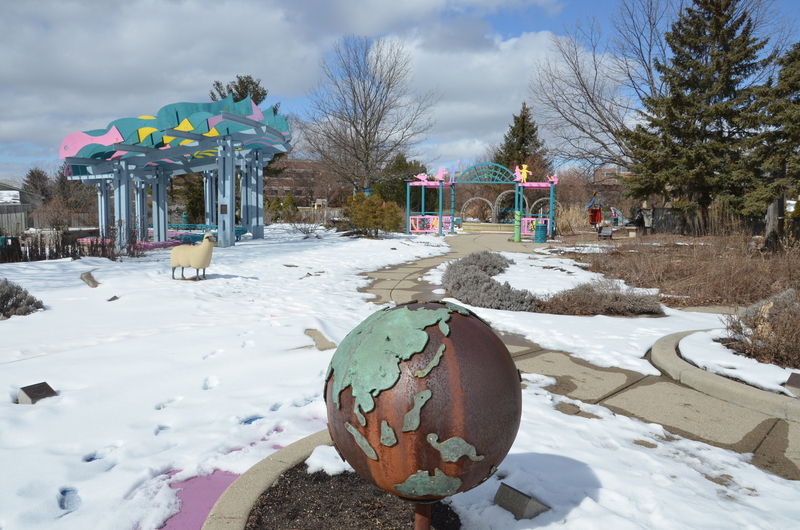 It’s a small world of discovery in the Children’s Garden at Michigan State University. 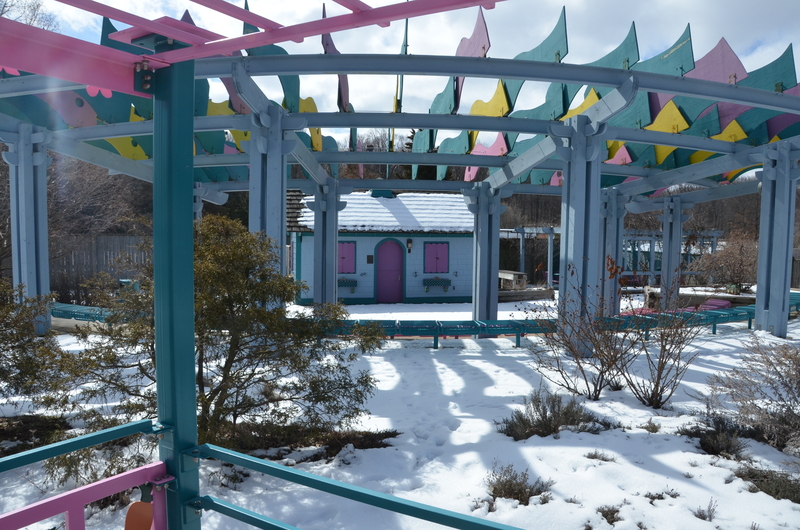 The beauty of the Children’s Garden at Michigan State University is in the colorful details of arbors, houses, and paving. Even with winter’s snow on the ground the garden presents a friendly, welcoming face to young people. Even though it was under snow, I could see the very happy bones of the place. It would have entranced my children when they were of that age. Colorful sunburst paving opens the experience at the Michigan State University Children’s Garden. Even in my advanced years, the color of the architecture and the quality of the paving achieved a harmony of natural connection that could not fail to amuse the younger set. 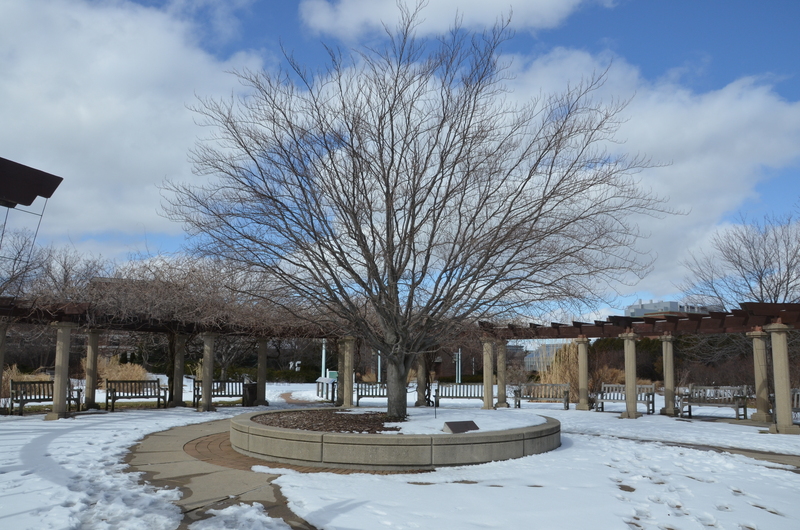 The Michigan State University Clarence E. Lewis Landscape Arboretum has an imposing entrance to the grounds. While just across the way, there was the entrance to the Clarence E. Lewis Landscape Arboretum. What a surprising trip it was. I experienced gardens, within gardening, within friendly meetings. All around successful.